Plik Statue of Zeus.jpg znajduje się w Wikimedia Commons – repozytorium wolnych zasobów. Dane z jego strony opisu znajdują się poniżej. 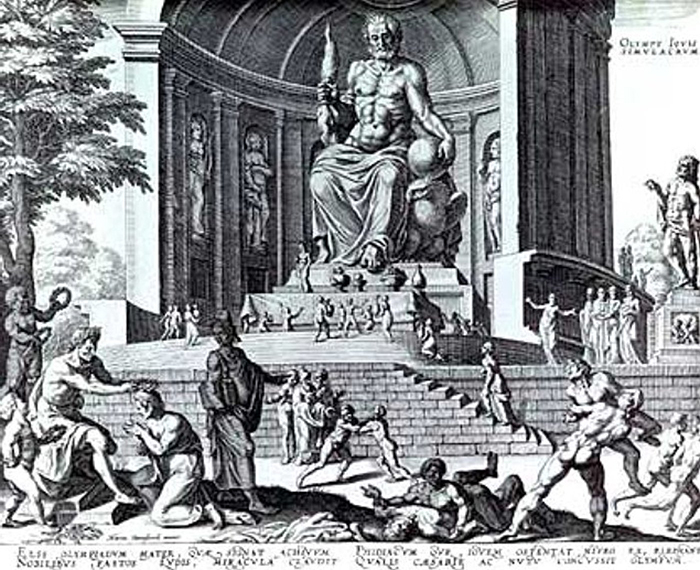 OpisStatue of Zeus.jpg Artistic representation of the Statue of Zeus in Olympia, but it is inaccurate in many details: according to (V, 11, 1f), Zeus carried a statuette of Victory in his right hand and a sceptre with a bird sitting on it in the left hand.Four victoriess stood at each foot of the throne and two at the base of each foot.